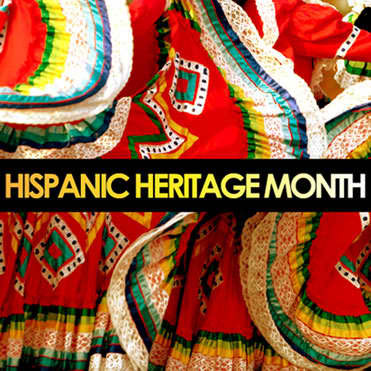 Today begins Hispanic Heritage Month. For one month out of the year, the US celebrates Hispanics, aka Latinos. This year the celebration seems ironic given the current tensions over the immigration bills being considered and laws enacted, but let’s not talk politics or we’ll be foaming at the mouth. Instead, let’s celebrate that Hispanics are an integral part of this great nation of ours. Let’s celebrate Hispanic leaders in our community, in our government, in our schools, in our lives. For this one month, let’s celebrate what makes Hispanics unique and beautiful – our culture, our music, our letters, our passions, our people. I’m starting my month-long—and life-long—celebration with Familia. My family is the root of my Hispanidad. It is with them and from them that I get my pride in my heritage. And, so I celebrate that I am Hispanic. I celebrate that I am Puerto Rican. I celebrate that I love my island, Borinquen. I celebrate that I love my city, New York. I celebrate that I love reading and discovering Hispanic / Latino authors. I celebrate that I love salsa and meringue – to eat and to dance! I celebrate that I am Hispanic. And The Latina Book Club is celebrating its Hispanidad as well. Every Monday and Wednesday, The Latina Book Club will host a guest blogger that will talk about how they celebrate Hispanic Heritage Month. Our lineup includes, editor extraordinaire Marcela Landers; founder of Blogs by Latinas Monique Frausto; author and filmmaker Vanessa Libertad Garcia; author Raul Ramos y Sanchez; YA reviewer Cindy Rodriguez; blogger Julio Ricardo Varela; and many more! AND, every Friday The Latina Book Club will feature portraits of Hispanics Today. We welcome your comments on what being Hispanic means to YOU and your portraits. Let the celebration begin…. Happy Hispanic Heritage Month. Felicidades! LEAVE A COMMENT: Let us know how YOU celebrate your Hispanidad. Also, we welcome pictures of Hispanics you consider represent the best of our people. Email us at latinabookclub@aol.com.